The Cork Examiner of 11th September 1861 published a report on the new high altar for St. Mary's Parish Church, Dungarvan, which it described as 'one of the finest in Ireland'. It noted that the altar was the gift of Miss Katherine Kennedy of Dungarvan at a cost of £500. A large sculpture of the Dead Christ was the centrepiece of the composition, in Carrara marble, carved by John Scannell, Architectural and Ecclesiastical Sculptor, of Union Quay, Cork. The paper went on to describe the altar surrounds: the tabernacle, which from the slab of the altar will rise to the imposing height of 18 feet and a half. At its base will be placed the tabernacle itself, to be ornamental of wrought iron, and adorned with marble and enamel. 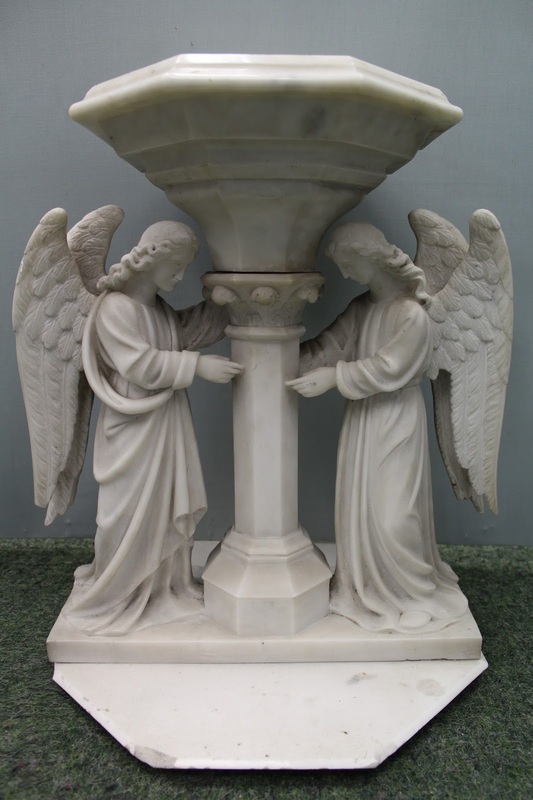 Above, the figures of two angels will be carved, before a tazza of marble, intended for a monstrance for the exposition of the Blessed Sacrament. Marble shafts rise at either side and support an archway for which an octagonal spire springs, terminating in a winged seraph. Winged seraphs also crown the two small shafts that rise at the base of the spire. The report noted that the altar would be completed in two months.